The little greenhouse with a whole lot of room! The Early Bloomer Greenhouse kit is a functional, affordable starter greenhouse for anyone from beginner to master gardener. Get an early start on planting seeds, and extend your harvest through the winter. A great all-around greenhouse ideal for tall plants or small trees - the 6'3" height gives you plenty of room to grow. The strong composite framed base (they same material used to make bridges) makes it sturdy enough to withstand strong winds, and a large 19" x 30" vent assembly is included to maintain plenty of air circulation for healthy plants. 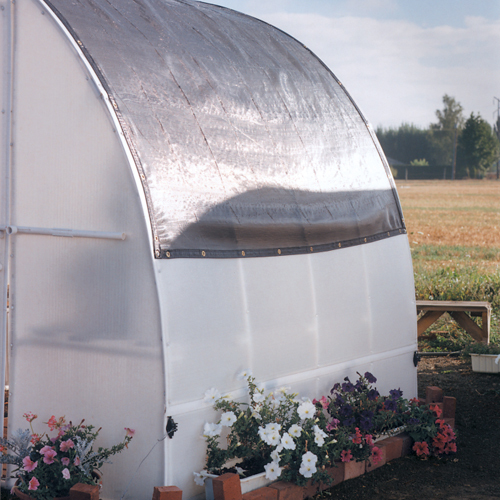 This lightweight hobby greenhouse is portable, so you can set it right over your garden in order to get an early start planting seeds and an extended harvest in the fall. Two easy-access hanging rods at a convenient height run the entire length of the greenhouse for all of your favorite hanging plants. Best of all, it's covered with Solexx™ XP panels to increase heat retention and provide optimal diffused light. Dimensions: 8' x 8' x 6'3"
Sturdy built-in base that requires no foundation - just find a level spot in your yard! Strong, shatter-proof Solexx panels stand up to wind, hail, and snow and are backed by an 10-year warranty for your peace of mind. The twin-wall panels create an evenly diffused light for optimal plant growth, plus they are insulated to help keep your heating costs low. Full-length hanging rods support your heavy plants! The steel-reinforced hanging rods give you the perfect place to winter over your prized hanging plants. The anodized steel fittings throughout the Early Bloomer Greenhouse offer superior strength and fast assembly. Just insert the pre-cut, color-coded frame pieces and tighten down the eye bolts. This extra large vent promotes healthy plant growth by bringing in fresh air to your plants. An optional solar vent opener opens and closes the vent when you're away. Get off to the best start with your new greenhouse! We've put together an accessory package of items that our customers recommended who purchased the Early Greenhouse. When you order these items at the same time as your greenhouse purchase, you will receive FREE SHIPPING on the greenhouse and the accessory package! Just choose the G-108DE accessory package in the available options above when you place your Early Bloomer Greenhouse order! Base Required: No base needed. Just find a level space in your yard, on concrete or deck. Greenhouse Covering: 3.5mm Solexx XP twin-wall panels. Easy of Assembly: Moderate. Allow a weekend to assemble. Who is this greenhouse best for? Because this greenhouse is so inexpensive, it is great for anyone looking to start into greenhouse gardening. It is easily adaptable and can be used throughout the year, allowing you to use the greenhouse to its full potential no matter where you live or what you would like to grow. Although this greenhouse is often chosen by beginners, it is durable and carries an 8-year warranty, which ensures that this greenhouse will continue to serve you for many years as your hobby develops. Other more experienced growers also prefer these economical greenhouses because they can have several and customize them based on what they wish to grow inside. Can I use this greenhouse year-round? 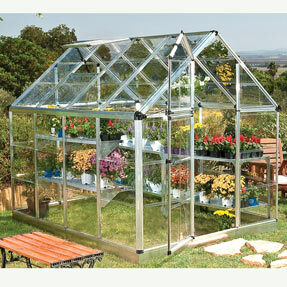 This greenhouse is perfect for those who are looking to start gardening year-round. Because the paneling is insulated, it will hold in heat well during cold weather and keep your heating costs low if you choose to add heat. It also stays naturally cooler than other greenhouses do in warm weather, allowing you to use it even during hot weather. Does this greenhouse feature a warranty? This greenhouse features an 8-year warranty. 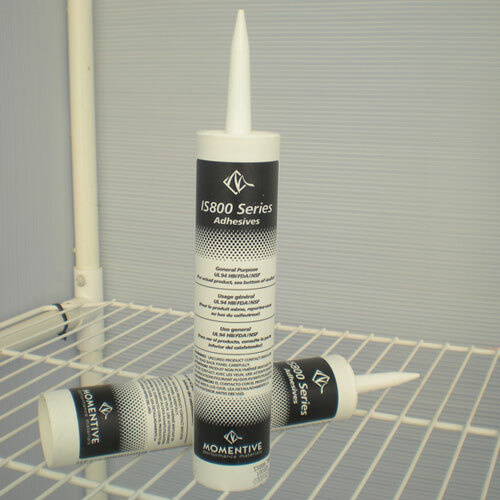 The panels and frame are meant to be long-lasting and durable. If the panels should ever become damaged they can easily and inexpensively be replaced, allowing you to continue using the frame for many more years to come. Is the Early Bloomer a Solexx greenhouse? The Early Bloomer greenhouse features Solexx paneling, but is different in some ways from the other Solexx greenhouses. 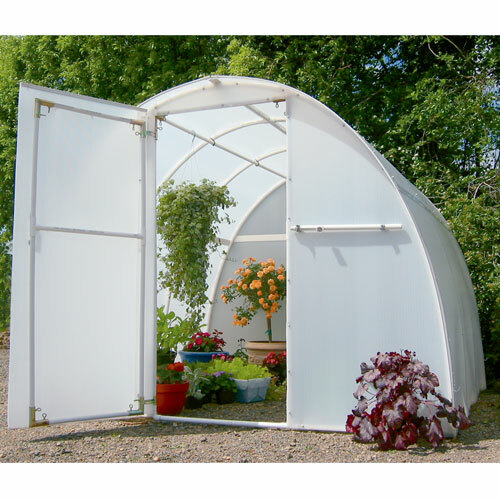 Although it still features a composite frame, it does not have the built-in bench frames that other greenhouses such as the Gardener's Oasis offer. It is also shorter (6'3") and comes in only one size (8'x8'). Solexx paneling is a unique greenhouse covering material designed to provide excellent insulation and light diffusion. This will enable you to use your Early Bloomer greenhouse throughout the entire year, making it a very versatile and practical greenhouse. How well will this greenhouse stand up to wind and snow? This greenhouse is amazingly strong! The frame is tough and can support snow without a problem. Because the roof is rounded, most snow will slide off on its own. Provided that the greenhouse is properly tied down (which you should do with any greenhouse), this greenhouse won't have a problem with wind. These greenhouses have even made it through hurricanes! Does this greenhouse feature bench-frames like other Solexx greenhouses? This greenhouse differs from other Solexx greenhouses because it does not have the same built-in bench frames. However, this greenhouse is perfect for those looking to keep tall plants or hanging baskets inside, or for those that would prefer to use the greenhouse like a cold frame. How can I add shelving to this greenhouse? Many people have added homemade shelving to this greenhouse by building a simple wood frame and placing a screen material on top of the frame. You can also put one of our great potting benches inside. Can I hang plants in this greenhouse? Unlike many other greenhouses, the Early Bloomer greenhouse features steel-reinforced hanging rods capable of supporting all your plants. Imagine being able to over-winter all of your favorite hanging baskets! The vent that comes standard in this greenhouse is manually operated. 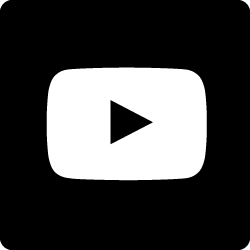 However, it is possible to add a solar opener that will automatically open and close the vent for you as the temperature changes if you would like. You may also upgrade to the large louvered vent used in other Solexx greenhouses if you prefer. Can I add an exhaust fan? It is easy to add extra fans and vents to this greenhouse. An exhaust fan can be installed in place of the back vent. This is crucial in warm weather when greenhouses often become too hot for some plants. It came without instructions, but after a phone call that was remedied. We also ran out of screws and had to buy more. The main thing we thought was shabby quality was the manual vent. The pre-drilled holes didn't line up well, and the way it operated was very Rube Goldberg. For the money, we felt it should have been designed better. This is our 2nd Solexx greenhouse. We also have a Gardener's Oasis which was much better quality. On a plus note, the Early Bloomer was easy to assemble and it's nice and roomy.